This weekend, I decided to do something way out of the norm for me like hot pink. 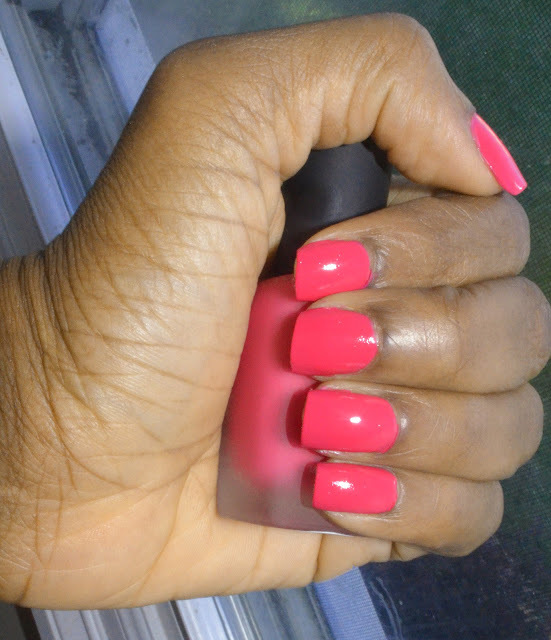 I was gifted with Lolly (hot pink) from zoya, so I thought why not try hot pink this week? I don't have steady hands so I went to the nail shop to get it done. I love this matted hot pink color on my skin tone. I also was gifted with their 3 in 1 removal formula. It's a polish remover, nail cleaner, and nail prep solution. This solution is a great nail polish remover, and I didn't get a headache from the smell either. So what nail colors are you trying this summer?